LOS ANGELES: The man behind the anti-Islam video blamed for sparking deadly protests in the Muslim world was jailed in the US for a year Wednesday for breaching the terms of his probation for a previous offense. Mark Basseley Youssef, 55, will serve the sentence in a US federal prison after he admitted four allegations of using false identities – a violation of the terms of his probation for a bank fraud conviction in 2010. He had faced up to two years behind bars, but four other charges were dropped as part of a plea deal. Youssef was identified as the main man behind Innocence of Muslims, an amateurish film which triggered a wave of violent protests that left dozens dead in September. The video was also linked to the September 11 attack on the US consulate in Benghazi in which US ambassador to Libya Chris Stevens and three other Americans were killed. In February 2009, a federal indictment accused Youssef and others of fraudulently obtaining the identities and Social Security numbers of customers at several Wells Fargo branches in California and withdrawing $860 from them. He was jailed for 21 months and ordered not to use computers or the Internet for five years without authorization, and also banned from using fictitious names during his supervised release. Youssef was arrested in September for eight probation violations. At a hearing last month he denied all counts, but on Wednesday he admitted to four, in return for the other four being set aside. US District Judge Christina A Snyder said Youssef, who has already spent five weeks in custody, must spend 12 months behind bars, followed by four years of supervised release. Youssef was previously listed as Nakoula Basseley Nakoula, and known as Sam Bacile when the protests about the video emerged. The Egyptian-born Coptic Christian also deceived them by dubbing anti-Islamic dialogue over their lines after the movie was shot. “He made that choice for other people,” the prosecutor said. Such behavior was part of a “long-standing pattern of deception” by Youssef, he added. An actress on the film, Cindy Lee Garcia, filed two lawsuits against YouTube demanding that the online video service withdraw a 14-minute clip of the film. Both were rejected, one by a local judge and another in federal court. Garcia said she thought she signed up for a film called Desert Warrior about life 2,000 years ago, and only realized her lines had been over-dubbed when protests erupted across the Muslim world in September. 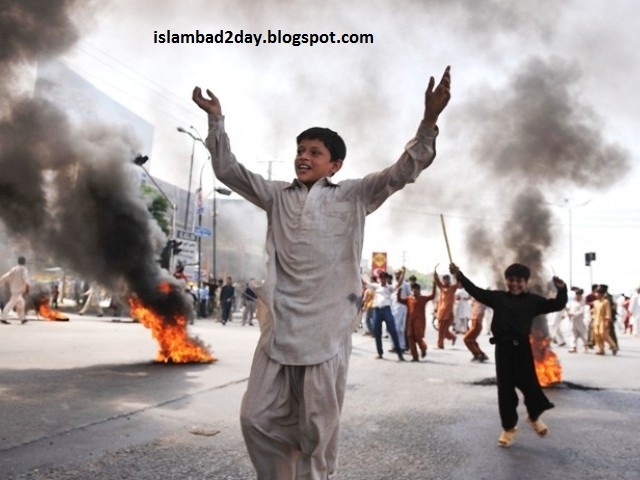 US missions, schools and businesses were set ablaze by angry mobs offended by the film. According to court papers, Youssef wrote and produced the trailer, and uploaded an English-language version of it onto YouTube on July 2, followed by a version dubbed in Arabic on September 11, the anniversary of the 9/11 attacks. “His deception actually caused real harm to people,” Dugdale told the Los Angeles court, adding that at least one actress feared for her life, while others “believe their careers are ruined” by appearing in the video. But defense lawyer Steve Seiden said Youssef had the right to change dialogue and other things about the film, stating: “The actors signed releases” surrendering rights to the filmmaker.